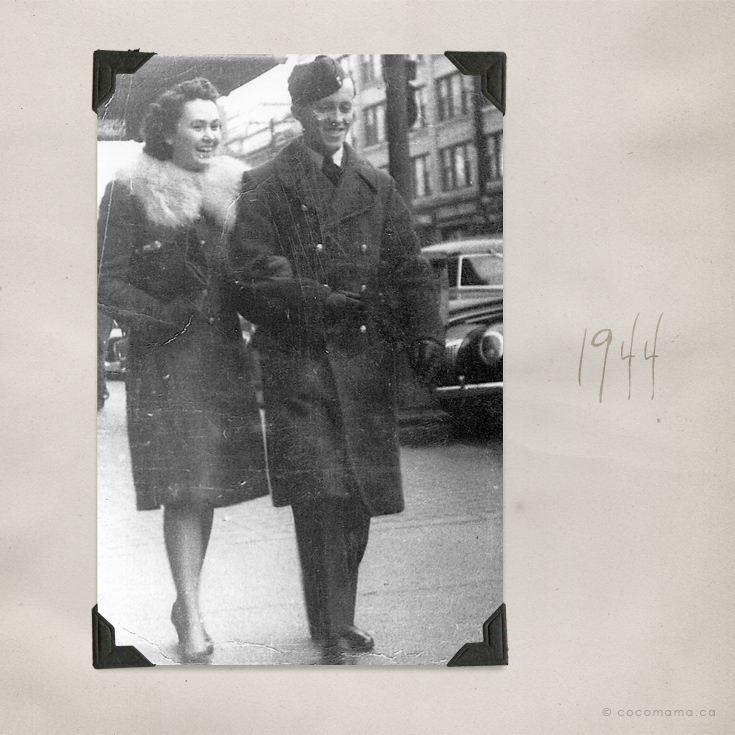 These are my maternal grandparents on their honeymoon in Vancouver, B.C. in 1944. They just exude love don’t they? My Nana is stylish in her fur collared coat and over-sized clutch. My Papa is beaming, looking all dapper in his uniform and proudly escorting his new wife by the arm. 68 years later, they are still together. And happy. Oh how I love a good vintage photograph. Jess - Hi Rochelle! This is your cousin Jess. I found your blog the other day (Facebook is so useful) and I’ve been having fun looking through it.